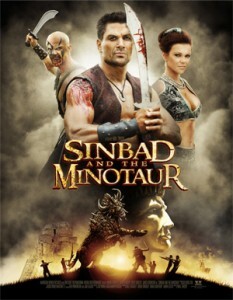 Coming up next, May 21st, on the Syfy Saturday original movie will be Sindbad and the Minotaur. Sinbad and his men search tirelessly for the lost treasure of the Colossus of Rhodes, which is guarded by a terrifying Minotaur. Along the journey, Sinbad meets Princess Tara, a slave in the evil sorcerer Al-Jibar’s harem. Now Sinbad must find the treasure, rescue the Princess and conquer the Minotaur, while defeating the enraged sorcerer.